COLUMBUS, Ohio — While continuing to push to the team to new highs, the Ohio State University women’s ice hockey team also took care of business in the classroom with 21 members of the team earning OSU Scholar Athlete status. 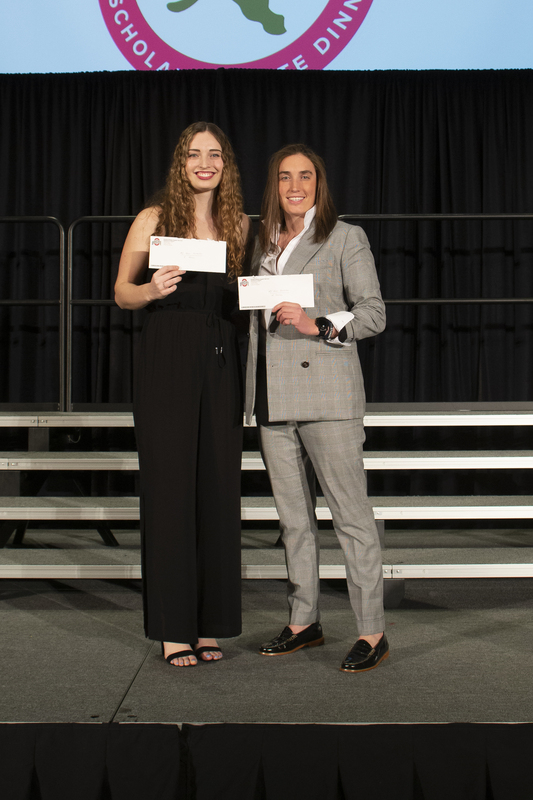 Additionally, Jacyn Reeves won the M/I Homes Foundation Award, and Lauren Boyle was named one of the finalists for the Big Ten Medal of Honor at the 52nd annual OSU Scholar Athlete dinner on Wednesday night. Reeves received the M/I Homes Foundation Award, which has been awarded annually since 1976. 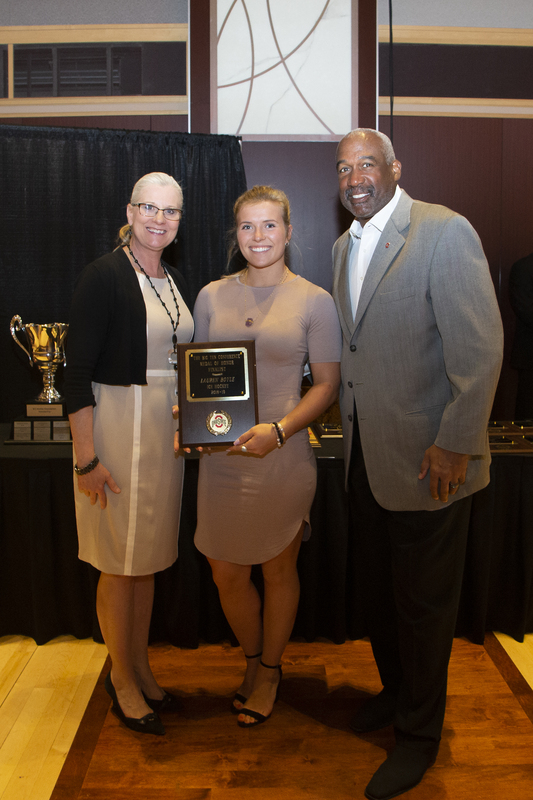 The award was one of the first designed specifically to recognize and promote women’s achievements in intercollegiate athletics at Ohio State. It provides an outstanding female scholar-athlete $5,000 for postgraduate studies at Ohio State. The award is based on demonstrated athletic and academic success as well as community contributions through involvement in civic or university organizations. This year’s OSU Scholar Athlete honorees are Madison Bizal, Samantha Bouley, Lauren Boyle, Andrea Braendli, Charly Dahlquist, Jincy Dunne, Madison Field, Rebecca Freiburger, Sophie Jaques, Erin Langermeier, Paetyn Levis, Emma Maltais, Jacyn Reeves, Elise Riemenschneider, Gabby Rosenthal, Sara Saekkinen, Eve Savander, Liz Schepers, Tatum Skaggs, Liv Soares and Lynsey Wallace. In total 674 Buckeyes were honored as OSU Scholar Athletes, meaning each athlete earned at least a 3.00 or higher GPA.